No one wants to have a cookie cutter backyard. Having your backyard look and function just like your neighbor’s space takes away from your home’s personality. When transforming your backyard to reflect your own uniqueness and your family’s preferences, make sure to remember that the fun is in the details! Most would love to have a patio with a beautiful roof system overhead, but there are ways to customize these roof systems to enhance their functionality and your outdoor experience to make them your own. 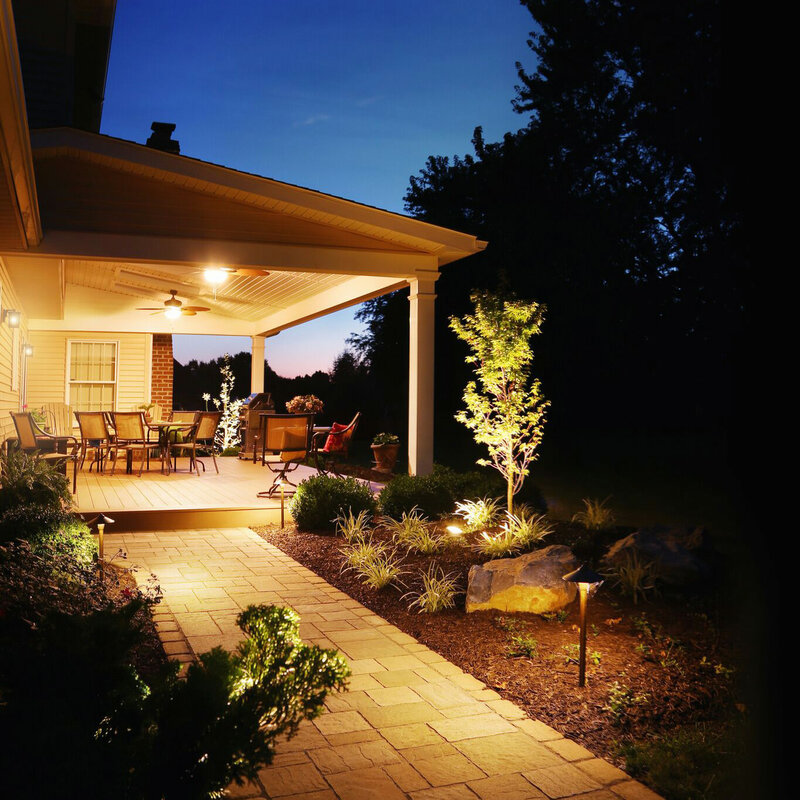 Other than a standard outdoor rated lighting fixture or pendant, there are some other creative ways to add lighting to your outdoor space. How about letting the natural light in by the way of skylights? Natural light has the ability to lift spirits and get the endorphins going without being in the direct sunlight. If you personally don’t like skylights, you can add a touch of class by installing recessed lighting. Adding recessed lights can exude many different emotions when installed correctly, especially when they are connected to a dimmer switch. The LED lights are flush with the ceiling, giving the area a clean look. The lights can be bright and alive or dim and relaxing; so whatever mood you are in, there is lighting for that. Even though you go outside to enjoy the weather and the bright sunshine or romantic moonlight, there is almost always a need for a little air movement. The addition of a ceiling fan allows for subtle or pronounced air flow to keep everyone comfortable as well as the humidity and bugs at bay. Ceiling fans are also very useful to quickly whisk away any radiating heat and smoke coming from your grill or outdoor kitchen area. 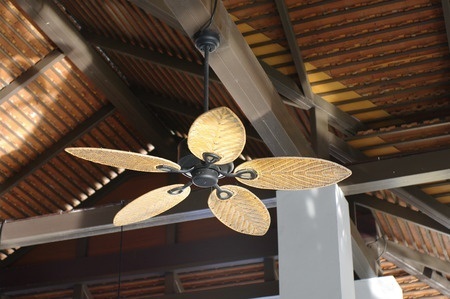 No need to worry about the fans being outside, outdoor rated ceiling fans have proper UL ratings and are perfectly acceptable to be in areas that see rain and mist regularly. There are tons of style and material choices to pick from to suit your space, just ask your landscape designer! If you are into entertaining groups of people, or would just like some mood music during lunch, hidden speakers in the ceiling are just right for you. Adding an audio package to your patio plan can tie in an outdoor television for surround sound during the bid game, or can simply connect to a music device to pump up the jams during your Sunday barbecue. While the television might not be the main focus of your patio during your soiree, it is a nice addition during your meal or to entertain the kids when they are exhausted from running around all day. 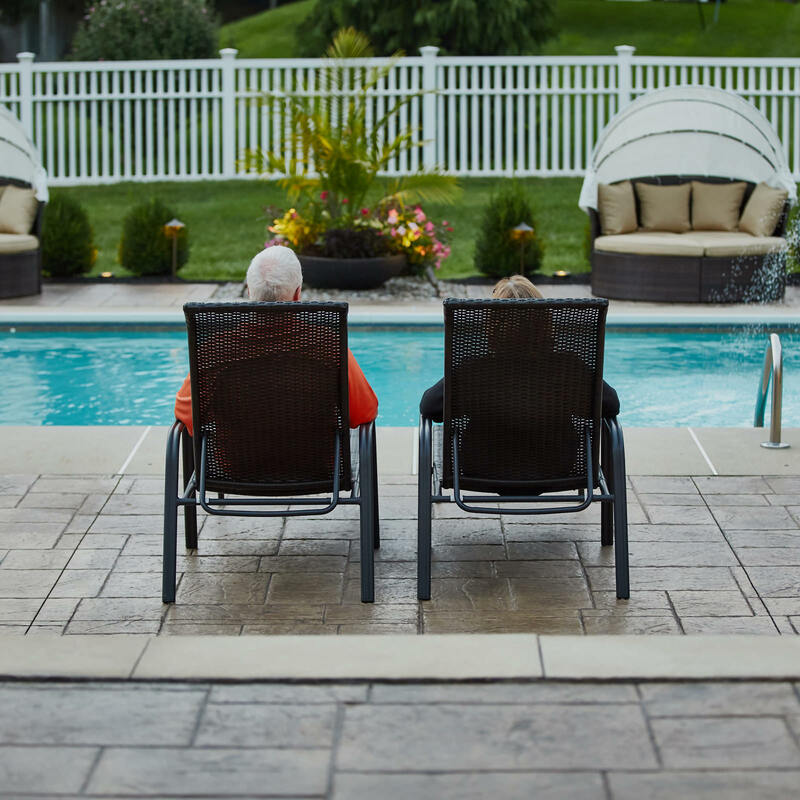 Who doesn’t want an opportunity to relax after relaxing? While the roof provides ample overhead shade in the midday sun, don’t feel that once the sun starts to shift, you have to find your sunglasses. By installing custom roll down shades to your patio, you can control the rays when they are on the rise and when they are falling for the evening. 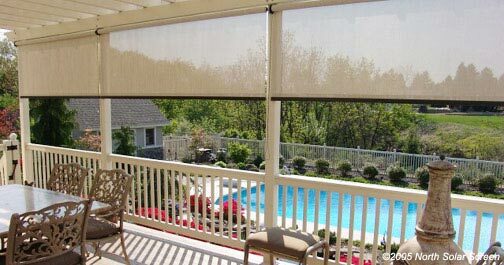 These shades can also supply an added layer of wind protection and privacy to your outdoor oasis. The possibilities to customize your covered outdoor space are endless! 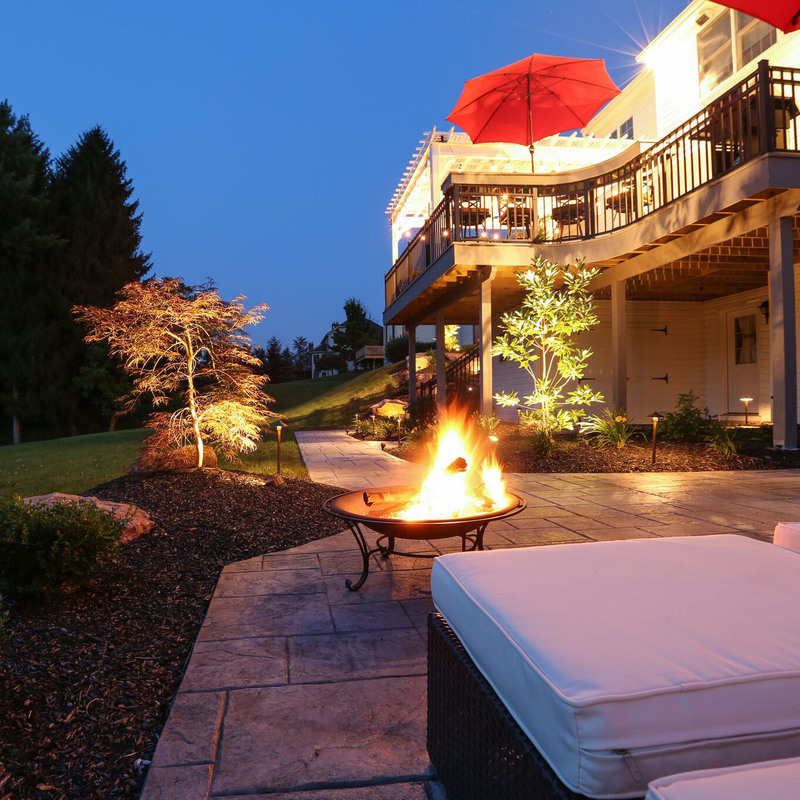 By consulting with your landscape designer, you can guarantee that your space will be unique, aesthetic, comfortable and provide endless entertainment for your family and friends. MasterPLAN Landscape Design specializes in these types of backyard transformations. 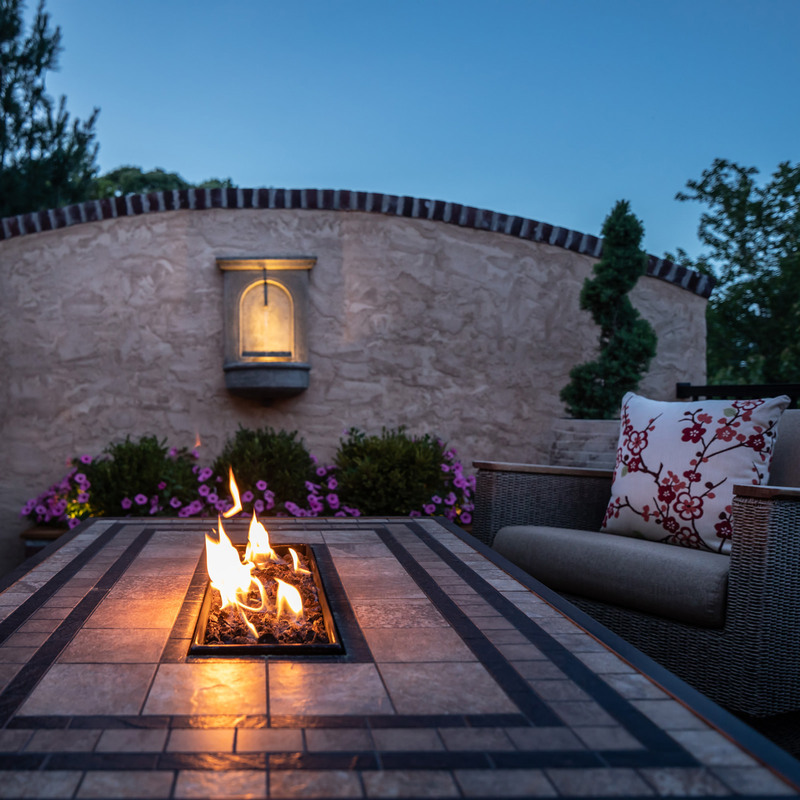 We believe that the perfect backyard should be beautiful yet functional and the details matter. We are ready to accept your backyard challenge and transform it in a stunning yet innovative way to fulfill your family’s needs! Reach out to MasterPLAN to start planning your dream backyard transformation; we are ready when you are.